Up at the crack of dawn today, as it's my only full day here in the UK and the sun is shining .... again. So off to look at what's blooming in Brighton before getting down to work. 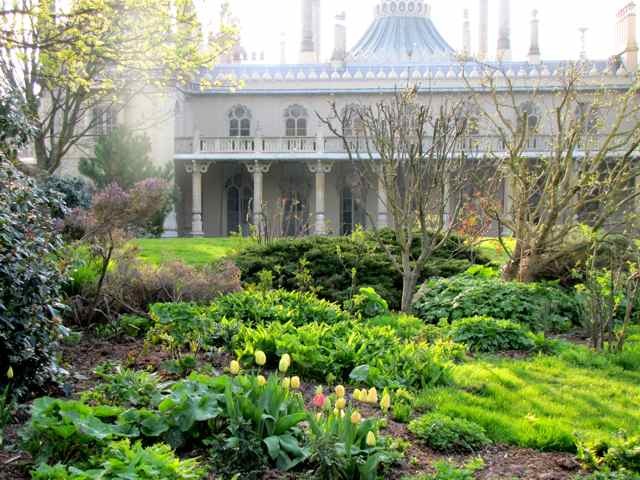 The Royal Pavilion Garden is beginning to fill with flowers, and is quite a sight to behold first thing in the morning - lots of tulips coming into bloom and with the wonderful backdrop of the Pavilion. Bitterly cold out there after Florida (as I soon realised how scantily clad I was in the east wind! ), but never mind, because it all looks so glorious! The Pavilion Gardens are just one of many free parks and gardens in the city. 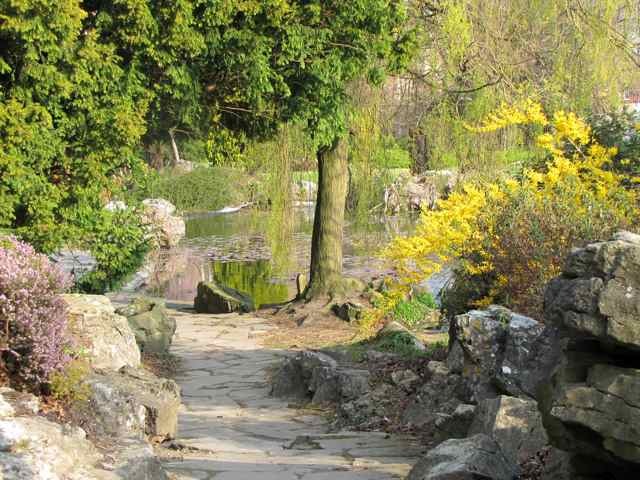 Then on to one of my all time favourites here in Brighton - the Rock Garden in Preston Park, where there's always something in bloom. But spring is a particularly good time to visit because of all the tulips. Another quick post because I've got so much to do, but just wanted to share all the wonderful spring blooms with you! More later, I promise as I'm going to visit some other gardens later and hope to have even better blooms to share! All best to you on your journeys! I walk through the Pavilion gardens every day on my way to & from work - they are very very beautiful all year round! Brighton is a beautiful place! 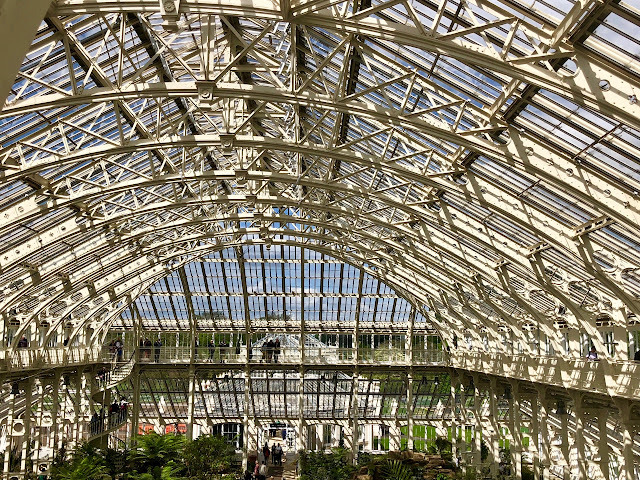 Those gardens are so green and lush, and the architecture is amazing. 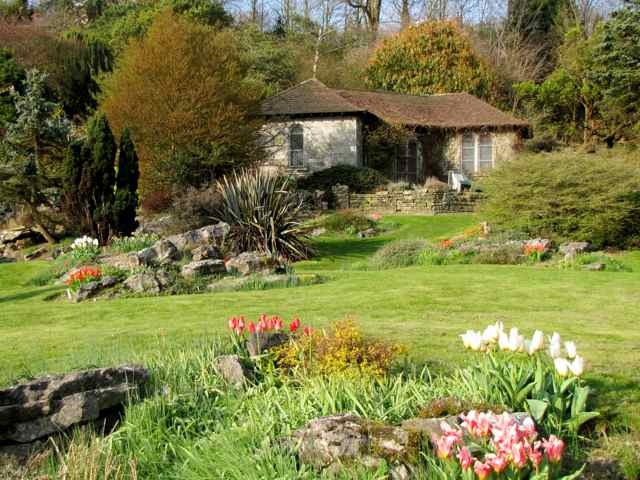 How nice it would be to have a bevy of free gardens to visit. Here, most gardens require an arm and a leg for entry. That looks like such a peaceful place to be able to go for a stroll. I wish I could transform my lawn into looking like that! Ooh its coming up to that time isn't it, where every garden over there is going to be beyond belief. 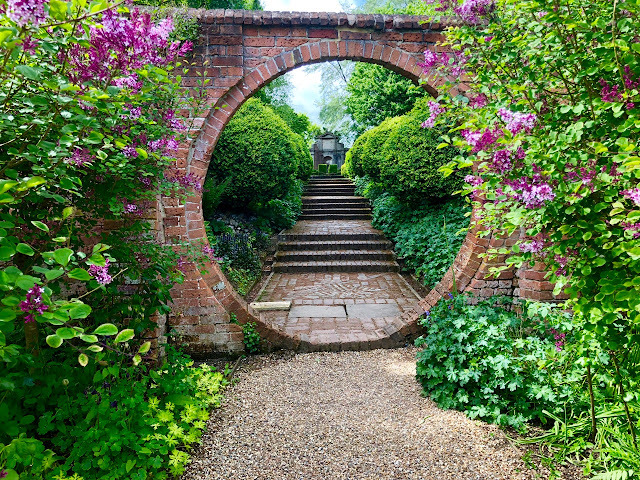 I love English style of garden. With the backdrop of Pavilion, the tulip and other spring blooms in the garden just look even more beautiful together! Brighton is indeed blooming. Oh to be in England now that April's here ... and I do miss it so! I am sure you know how I feel as you travel afar. Thanks for the memories! Why is it that British gardens make everyone else's look like amateur hour? I must get down to brighton soon; maybe I'll wait for the temperature to go up a few more degrees though! What a peaceful and happy scene, Charlotte! I'm glad you had enough time to share this sampling of happy Brighton with us. The gorgeous buildings really add to the first two gardens - wish I had some buildings like that in my garden ;-) It's all beautiful. It's been a long time since I visited Brighton and back then I was more interested in the pubs than the gardens! I hope to get back there one day, when I'm back in England visiting family. I have always wanted to visit Brighton! I wasn't able to make it while I was there! I regret that now! I was there 7 weeks, surely I could have made time to squeeze in Brighton! 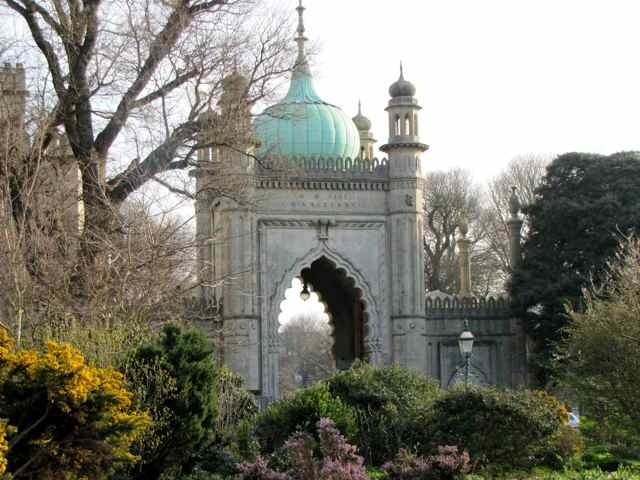 I always enjoy your posts of Brighton, bringing back memories from my childhood :-) Great images of the pavilion!